At Aegis Living communities, seniors enjoy three meals each day specially prepared by seasoned chefs. Dietary professionals work with the culinary artists to come up with seasonal menus that are not just pleasing to the taste buds but also provide seniors with the vitamins and nutrients they need to stay active and healthy. The dining options change often, giving seniors a little variety in their everyday lives and exposing them to exciting new foods on a regular basis. The large, exquisitely decorated dining room promotes socialization among residents, and family and friends are invited to join seniors in their daily meals. Snacks and hydration stations are available throughout the day as well, and Aegis can also provide specialized meal plans to meet the needs of those with medical conditions, such as diabetes. It’s a well-known fact that getting around as an elderly person can be difficult, especially for people with Alzheimer’s who cannot drive and may have trouble navigating. But leaving the assisted living community is necessary on occasion. For example, while seniors receive visits from medical professionals on a regular basis, there are health care needs that cannot be met in-house, such as radiographic imaging. That’s why Aegis Living provides transportation services led by experienced, trustworthy drivers. These services can also be used to run errands, meet up with friends and family members and go on special outings. At most Aegis Living communities, residents are welcome to bring their furry friends to share their new home. Birds, cats, dogs and even fish can provide seniors with a special kind of comfort, and these these companions can be of great benefit to people with Alzheimer’s. As the Alzheimer’s Project notes, pets can help ease the apathy, depression, reclusion and loneliness that often come with this form of dementia. Entertainment is rarely a consideration among the traditional assisted living facility. However, Aegis Living knows that staying engaged and captivated is an important part of retaining one’s mental sharpness and can contribute greatly to one’s overall sense of happiness. Aegis organizes special interest clubs, group activities and daily games to keep residents occupied and using their gray matter. Another place where seniors can find entertainment is at the in-house movie theater. A variety of films are shown here, many of which cater to the baby boomer population. For example, residents might be intrigued by a World War 2 documentary one week, then kick back with a bag of popcorn during a Humphrey Bogart flick the next. 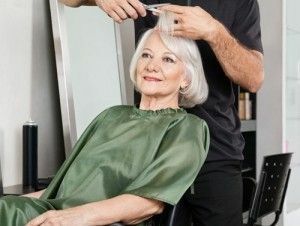 For many seniors, going to the salon or barbershop has been an important ritual in their lives. After all, these places not only keep people looking sharp but also provide an opportunity for socialization and can be very therapeutic. So Aegis Living provides residents with a little pampering via an on-site beauty salon and barber. Another highlight of Aegis amenities is the massage therapists who come to the community for scheduled sessions. Some might consider this an unnecessary luxury, but as the National Institutes of Health points out, massage can ease stress and anxiety, reduce the risk of depression and alleviate physical pain. One of the biggest comforts of life is a homely, familiar environment, and that’s what Aegis Living works to give seniors. Residents are encouraged to spend the day outside of their beautiful, private apartments and join others in the communal spaces. The dining room, lobby and activity areas are wide open spaces ideal for chatting with friends, meeting new people and simply enjoying a cup of coffee with the morning paper. There are also protected outdoor areas where seniors can roam about freely. A step outside delivers them to gorgeous, flowering gardens, sunny courtyards and delightful paths for taking an afternoon stroll. These comforts and amenities are just a few of the many ways that Aegis Living strives to improve the mental and physical wellness of seniors as well as facilitate increased happiness and a more substantial life in their golden years.